Let’s first introduce you to Master Gatdula, better known as “thekuntawman”. In this article, he introduces himself as a teacher, and defines what he considers the categories of Filipino martial arts styles. I have been practicing the martial arts for more than 30 years, and have been teaching for more than 20 years. My four most significant teachers were Chin Yuk Din, who taught me Jow Ga, Eagle Claw, and White Eyebrow; my si hing(older brother), Raymond Wong, who completed my training after Master Chin died; Yun Gatdula, who taught me his Kuntaw style and three Eskrima systems (Abaniko, Pekiti Tirsia, and Singko Tiros); and Boggs Lao, who taught me his own martial arts, plus Lito Lanyada’s Kuntaw ng Pilipinas and Modern Arnis. I associate closest to my Philippine heritage and art—not because of my ethnicity, but because of the influence it had on my life as a man and as a martial artist. 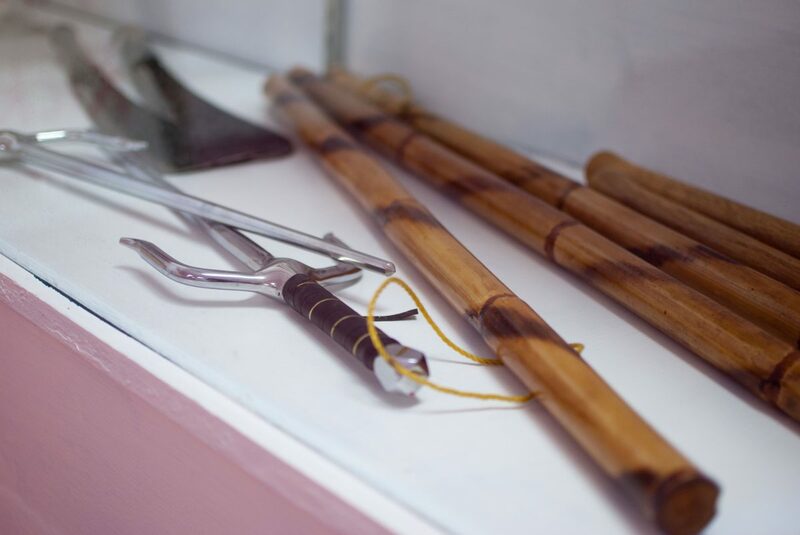 The philosophy of the Philippine martial arts is unlike that of most cultures, and once you experience it and its teachings, is life-changing. Even in my Kung Fu classes, I teach with a Filipino philosophy-which enhances and lends uniqueness to my school’s aura, fighting style, and the students we produce. While fighting techniques are very commonly found—even in the Philippines—the philosophy about the theory and practice is not. Where you find voids in martial arts training, you will find innovation and absorption of foreign arts. Many FMA teachers have this void, and turn to other style to fill in the gaps and (dare I say it) deficiencies. Because of this, I can recognize a Philippine-style teacher who has adopted the practices and attitudes of foreign styles. Nothing wrong with that; unless the teachers attempt to pass those things off as “authentic” or “original”. 1. The Mainstream Style: they follow recent trends in the art and change their styles as they learn what other masters do. These teachers “keep up with the times” by attending seminars or exchanging and sharing with other teachers. Many of those teaching abroad claim their arts had these new techniques all along, while some admit (quite proudly) to combining, blending and adopting newer methods. Most styles found in America and Europe fall into this category, as seminars are very popular there, and seem to be the primary method of instructing the martial arts. Nearly everyone teaching the Filipino arts in the West teaches by seminar, or has learned from a teacher who learned through seminars. The Mainstream styles overemphasize the importance of performing drills, give very little attention to the development of basics (since they have to entertain “audiences” and everyone from basic beginners to teachers are learning the same thing in the seminars), prearranged defense and counters, and have very little strategic instruction for sparring. While there are many good teachers in this category, this category has the highest number of unqualified, yet certified, teachers. Reputations for the Mainstream teacher depends on personality, amiability, and marketing skills. 2. The Legacy/Organizational Style: Teachers who have followed in direct footsteps of their teachers and have strayed little from their styles and teachers. These teachers tend to have had only one or two teachers in their lifetime and will preserve entire systems and curriculum, as they learned it themselves. Many who follow these traditions have clear curriculums and lineages, and most often are well-skilled, enjoying fine reputations. While there are only a few of these organizations and styles in the Philippines, most are well-known and respected, and have well-documented histories—despite that many have fierce rivalries with other schools and masters. Their curriculums are well-developed and are known for having high quality of instruction. Many have adopted foreign practices and arts, such as belt-ranking and grading requirements, but are admired and looked up to by many teachers as these styles have evolved through trial and error into the systems they have now. Most of the founders of these styles began in the third category (see below) and are simply canning a good product. However, a drawback to this type of style can be the lack of development and hungriness in its masters’ hearts, as an inherited reputation can lead to students who feel their worthiness by association. Often the reputation of the school or style rested on the shoulders of the Master who founded the organization and his first generation of students. You will see that a school may be riding on the accomplishments of their founder, whose exploits may have taken place several decades earlier. 3. The Traditional Teacher/Fighter: Perhaps most Filipino experts one may find in the Philippines fit into this category. They tend to have studied full time with at least one teacher, but about half of their learning came from sparring with other fighters. These teachers have usually created their own styles based on their fighting experience and personal reflection, rather than the curriculum of other teachers. Most traditional teachers have few students and do not certify others. Reputations vary, as traditional fighter/teachers have informal training, but each teacher builds his own reputation by himself and is only locally known. Their curriculums and progressions are not well-defined, they often do not have a physical school to teach from (let alone websites and published media), and will have very few students “certified” under them… this is one tiger that earns its own stripes. However, most are known to have good fighting skills because of this, and accepting and issuing invitations to matches is very commonplace for these teachers. Again, most do not have schools, but some do and aspire to join those in the Legacy styles. I am a product of the third category. My martial philosophy is primarily from #3s point of view, although I have some influence from #2. My purpose for writing this blog is to bring the lessons I learned to those who have not delved deeper into little known levels of the martial arts (hence the name) and/or have a weak philosophical foundation for their martial arts knowledge. I am not popular or well-liked in the Filipino Martial Arts community. No problem; a fighter’s reputation is built by those he opposes, than by those who like him. Most readers will read this blog and beg to differ. That’s okay! Martial arts styles were not created because everyone agreed that a particular strategy or technique was superior. No, styles were created because someone had an idea, and others disagreed, and the result of their attempts to prove and disprove the theories was beautiful. I will challenge your view on the martial arts and its practice. We will question popular masters and even call them out. I may ridicule YOUR master or style. But this is not in contempt, but only in the effort to do what the old masters did: find a better way. Well, please, keep an open mind, and check with us frequently! We have lots to discuss!